Al Suwaidi .... ADFD has funded 550 projects across the globe. Abu Dhabi Fund for Development (ADFD) said in a report celebrating its 47th anniversary that it has expended a total of Dh84 billion ($22.86 billion) to finance approximately 550 projects in 88 beneficiary countries. Since its inception on July 15, 1971, ADFD has disbursed Dh37 billion in concessionary loans, Dh44 billion in UAE government grants and Dh3 billion in investments, reported Emirates news agency Wam. Focusing on key socio-economic sectors including health, education, housing, water, irrigation, agriculture and renewable energy, ADFD’s development funding seeks to support the national priorities of beneficiary countries, improve standards of living and drive the implementation of the United Nations’ Sustainable Development Goals, SDGs. Along with its core operations, ADFD’s innovative partnerships with the private sector and international funding institutions have helped consolidate the UAE’s prominent status among global foreign aid providers. The country has retained its position as the world’s largest donor of official development assistance relative to national income for the fifth year in a row. In 2017, ADFD also commissioned the Korea Development Institute to run a feasibility study investigating the need for a UAE-based export programme in line with the highest international standards. The programme aims to support the goals of the UAE Vision 2021 – diversifying the economy, reducing dependence on oil revenues, and preparing the country for the post-oil era. Furthermore, it will align with the objectives of the Abu Dhabi Economic Vision 2030 that seeks to advance sustainable socio-economic development. ADFD was established in 1971 with a starting operating capital worth Dh500 million. Over the years, the Fund has registered steady financial growth and expanded its footprint across the globe. ADFD’s operating capital today is Dh16 billion. To date, ADFD allocated Dh2.5 billion to support vital healthcare projects across the developing world. Seeking to provide quality medical services to the populations of the beneficiary countries, the Fund has financed the construction of hospitals and treatment centres, the purchase of medical equipment and medicines, and the implementation of preventive health programmes. The Fund has also contributed to the financing of 48 housing projects with a total value of Dh8 billion. ADFD’s efforts in the transport sector have helped drive sustainable development. In this context, the Fund financed 94 projects with a total value of about Dh14 billion in countries across the globe, including Morocco, Jordan, Egypt, Tajikistan and Senegal. As part of its overarching commitment to supporting crucial renewable energy projects that ensure a reliable and sustainable power supply, ADFD continues to fund efforts in this vital sector. In collaboration with the International Renewable Energy Agency (Irena) within the framework of the IRENA/ADFD Project Facility, the Fund allocated $25 million for two new renewable energy projects in 2017. Over the past five funding cycles of the facility, ADFD financed 21 projects in 20 developing countries valued at US$214 million. The fifth funding cycle projects aim to produce 18 megawatts of solar photovoltaic energy in Mauritius and Rwanda, bringing about a significant change in the lives of more than 2.5 million people through providing affordable energy to low-income communities. These projects are expected to stimulate sustainable development through driving economic growth, reducing environmental pollution by mitigating harmful CO2 emissions, and improving the quality of life, education and healthcare for the local population. 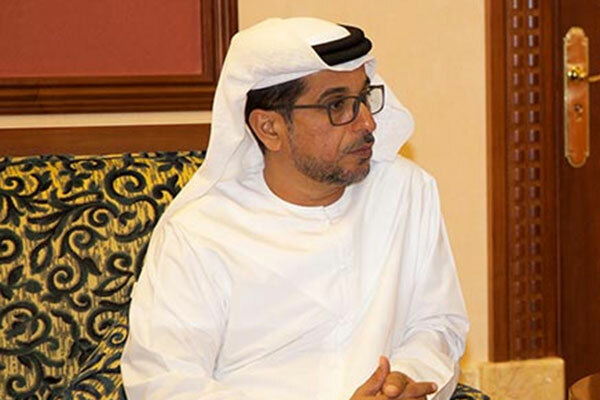 In addition, following on the success of the UAE-Pacific Partnership Fund, UAE-PPF, the UAE announced the launch of a new initiative to implement innovative clean energy solutions in the Caribbean island countries. Through the newly established $50 million UAE-Caribbean Renewable Energy Fund, UAE-CREF, ADFD approved the financing of five renewable energy projects worth $15 million.